Denver, Colorado (May 7, 2018) – The biggest wedding of the year is about to get the big screen treatment, giving royal fans in the U.S. a front row seat to this monumental event. Fathom Events and BritBox, the subscription service from BBC Studios and ITV, bring moviegoers nationwide Prince Harry and Meghan Markle’s highly-anticipated nuptials, captured live from Windsor Castle in England and presented commercial-free on May 19. 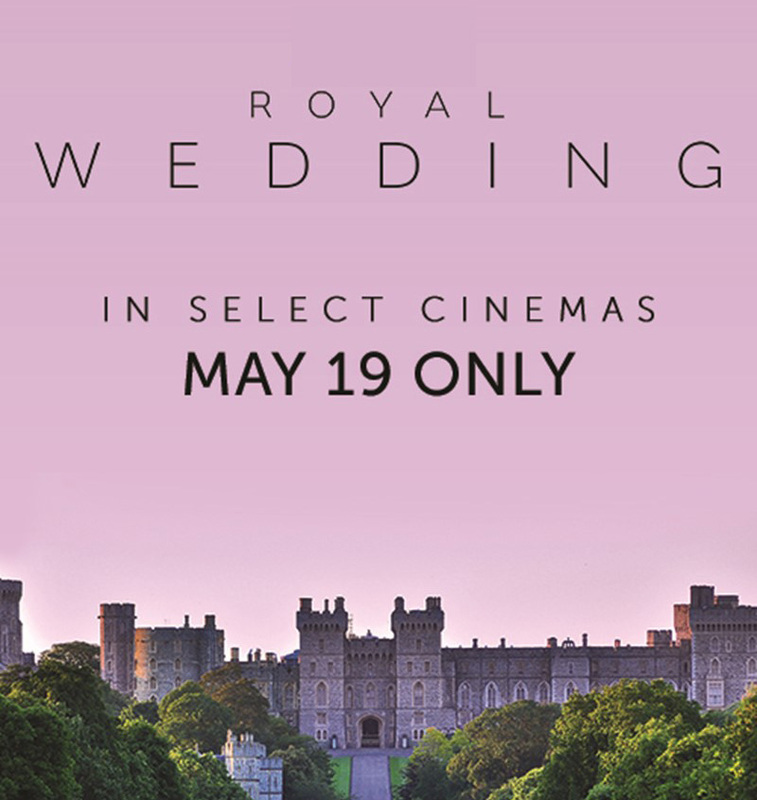 Tickets for “Harry & Meghan: The Royal Wedding” can be purchased at www.FathomEvents.com or participating box offices. Fathom Events and BritBox will present “Harry & Meghan: The Royal Wedding” in nearly 200 U.S. cinemas on Saturday, May 19 at 10 a.m. local time, through Fathom’s Digital Broadcast Network (DBN). A complete list of participating theater locations is available on the Fathom Events website (theaters and participants are subject to change). Fathom Events is the leading event cinema distributor with participating theaters in all 100 of the top Designated Market Areas, and ranks as one of the largest overall distributors of content to movie theaters. Owned by AMC Entertainment Inc. (NYSE: AMC), Cinemark Holdings, Inc. (NYSE: CNK) and Regal Entertainment Group (NYSE: RGC) (known collectively as AC JV, LLC), Fathom Events offers a variety of one-of-a-kind entertainment events in theaters such as live performances of the Metropolitan Opera, top stage productions including Newsies! The Broadway Musical and George Takei’s Allegiance, major sporting events such as Mayweather vs. McGregor, epic concerts with artists like Lady Antebellum and Sammy Hagar, the yearlong TCM Big Screen Classics series, inspirational events such as Is Genesis History? and IN OUR HANDS: The Battle for Jerusalem, and popular anime franchises like Pokémon and Dragon Ball Z. Fathom Events takes audiences behind the scenes for unique extras including audience Q&As, backstage footage and interviews with cast and crew, creating the ultimate VIP experience. Fathom Events’ live digital broadcast network (“DBN”) is the largest cinema broadcast network in North America, bringing live and pre-recorded events to 917 locations and 1,440 screens in 181 DMAs. For more information, visit www.fathomevents.com. BritBox is a digital video subscription service offering the largest collection of British TV in the U.S. and Canada. Created by two British content powerhouses—BBC Studios, the subsidiary arm of the BBC, and ITV, the UK’s biggest commercial broadcaster—the service features iconic favorites, exclusive premieres, and current series and soaps—most available within 24 hours after their UK premier. BritBox also offers expert curation and playlists that enable fans to easily find programs they know and discover new favorite via web, mobile, tablet and connected TV’s. AMC Networks is a minority investor in the service.